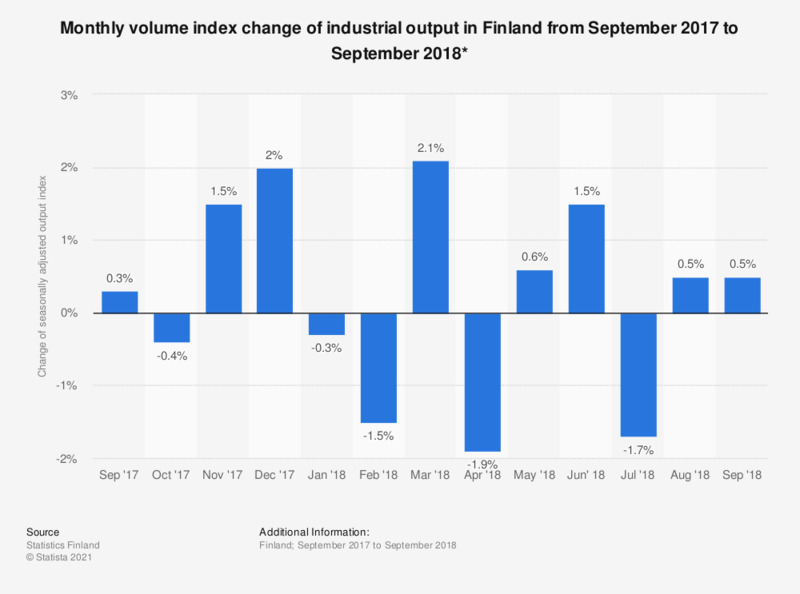 This statistic shows the monthly industrial output index change in Finland from September 2017 to September 2018. Throughout the survey period, the industrial output index change fluctuated, reaching a high of 2.1 percent in March 2018. In September 2018 the industrial output was 0.5 percent up from August 2018. The source provides the following information, "The volume index of industrial output describes the relative change in the volume of industrial output at fixed prices when compared with a specific base period. Original index, index adjusted for working days, seasonally adjusted index and trend."